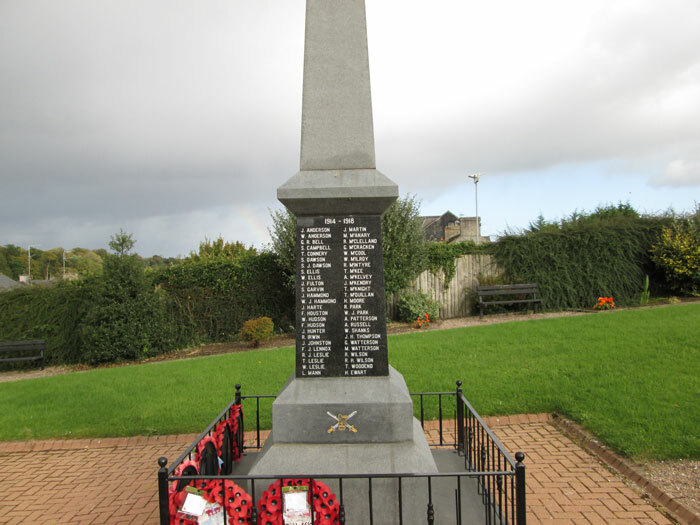 Castledawson War Memorial is located along the Main Street in Castledawson at the junction with Station Road, in Bell Park. 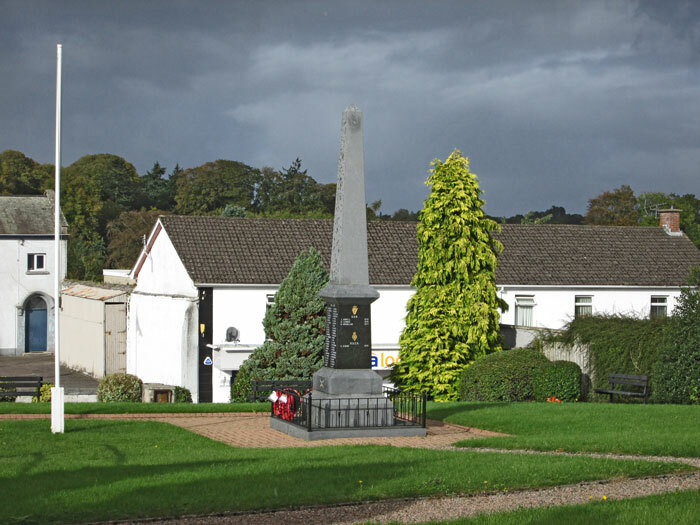 The Castledawson obelisk was sculpted by Watterson’s Monumental Sculptors in 1994. 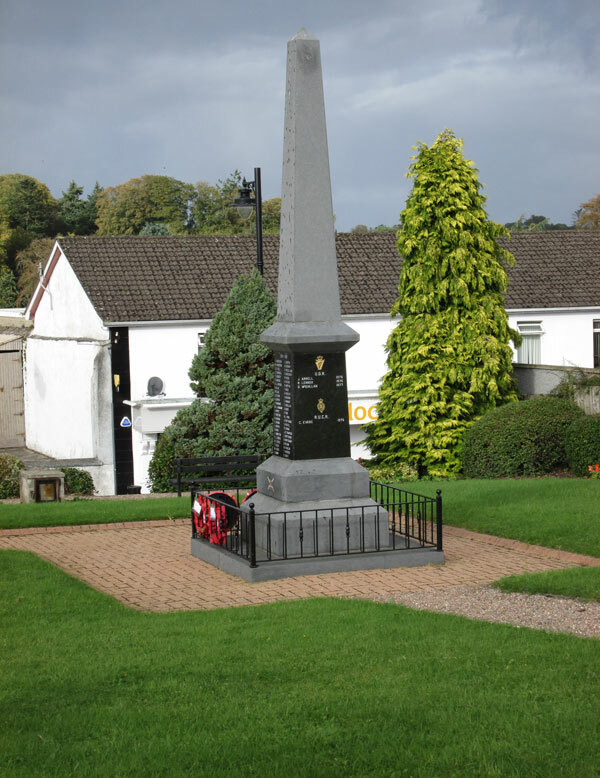 The memorial is a black granite obelisk which has inscriptions incised and painted silver/white. The obelisk rises from a two-tiered square plinth with chamfered upper edges, itself resting on a single square base. The whole is of granite and is bounded by paving. All faces of the polished black portion of the obelisk are inscribed. 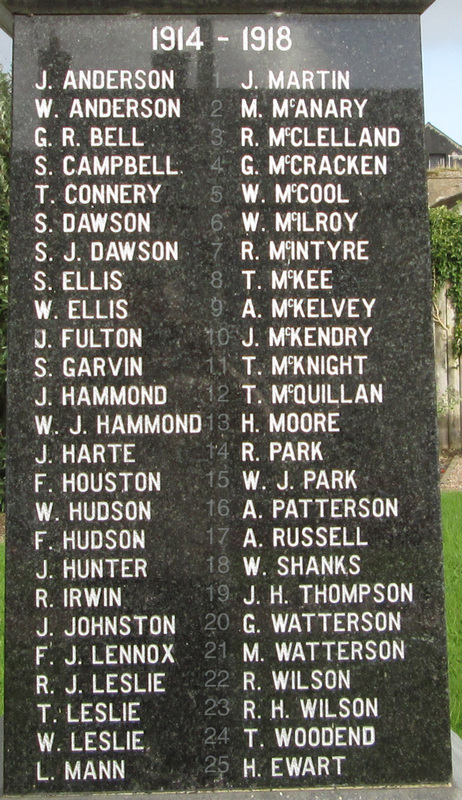 On the memorial are the names of those who have given their lives in two world wars and other conflicts. The inscription on it reads: ‘This memorial is dedicated to the gallant members of H.M. Forces from this district who made the supreme sacrifice in two world wars and subsequent conflicts. 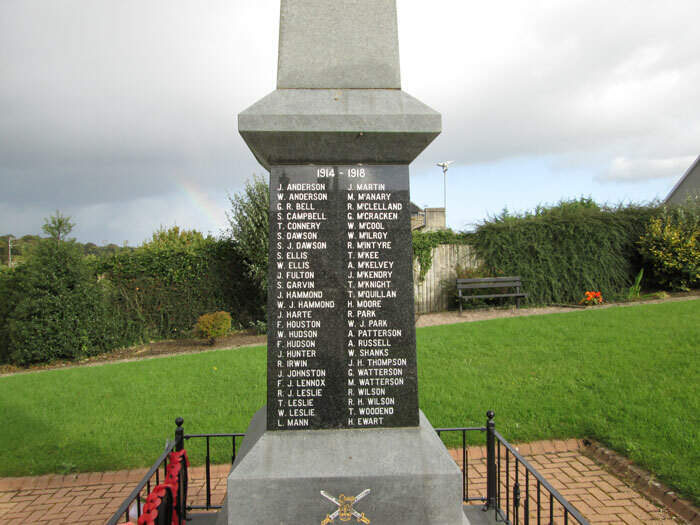 Castledawson War Memorial was dedicated on Sunday 19th June 1994 at 15.30 hrs. It was unveiled by World War One veteran Leslie Bell. Five members of the Bell family served during the war, one making the supreme sacrifice. It was unveiled during a Service of Dedication on Sunday 19th June 1994. The Service was conducted by the Reverend F. Munce and Reverend Doctor A. R. Rogers. Readings were by the Reverend Father O’Byrne and the Royal British Legion Area President, Colonel Sir Denis Faulkner, CBE VRD DL. The unveiling was performed by Mr Leslie Bell, a veteran of the First World War. The Petition to dedicate was made by the Chairman of the Magherafelt District Council. In response, the act of Dedication was undertaken by the Reverend R. Stewart. The Act of Remembrance was by Lord Moyola. The Last Post was then sounded, followed by a two minutes silence that was ended by the Reveille. 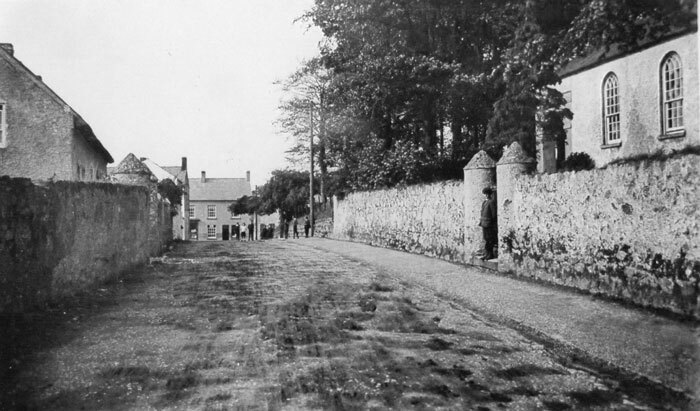 There then followed a Lament of the Flowers of the Forest during which wreaths were laid by the Chairman of the Magherafelt District Council; the Northern Ireland Area Chairman of the Royal British Legion, Mr J. P. Thompson; and the President of the Castledawson & District Branch of the Royal British Legion. During the Service the following hymns were sung; 'O God our help in ages past', 'O valiant hearts' and 'Supreme Sacrifice'. The Service concluded with the playing of the National Anthem.